Recently elected Philippine President Rodrigo Duterte’s aggressive crackdown against drug crime has seen police, military and vigilantes kill more than 1,000 suspected drug dealers in the past month. Taking office on June 30, the political outsider swept to a landslide election victory and has since seen, in the latest Pulse Asia survey, a historic approval rating of 91% for his sweeping reforms. 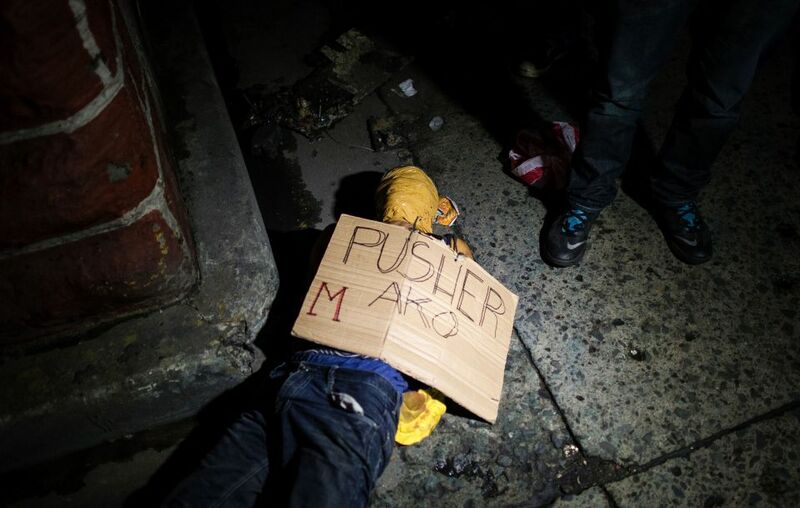 In this countrywide hunt for drug dealers, Duterte has reportedly given police and military orders to shoot to kill when they come across anyone they believe to be involved in drug trade, vowing to pardon their involvement in these extrajudicial killings. As a result of this hard line action, according to Duterte’s administration, some 500,000 drug users and self-confessed dealers have turned themselves into authorities to avoid being violently targeted. His blatant violations of human rights have alarmed many who hear echoes of the country’s authoritarian past. Activists urging Duterte to give suspects an opportunity for due process and a fair trial before they are executed on the country’s streets. Yet despite the President’s seemingly outrageous actions, his supporters celebrate these killings as necessary punishment that these criminals deserve, perpetuating the Philippines’ deeply entrenched culture of impunity.